The list of Top 100 Things To Do in Tenerife will definitely help you to discover the island before you come to spend your holiday on this beautiful sub-tropical island. Tenerife offers the widest range of nature and climate diversity among all seven island of Canary archipelago as well as incredible variety of activities, tours and things to do. This list is created to help everyone to plan the visit on the island before you go. It's important to know the island hosts millions of visitors each year from different parts of the world, so it's quite important to choose and book things to do in Tenerife up to your interests at least 1-3 months in advance. Last minute booking of local tours and activities or doing that in the hotel after arrival is the worst idea. It because it almost sure all the best activities will be already fully booked and hotels will offer you only things to do offered by kind of 'tourist factories' that nobody really want. Therefore it strongly suggested to read and research this list to choose, plan and book your chosen things to do in Tenerife in advance. Most of the activities are available to easily and safely book on TripsPoint and some of them you can simply do by yourself. All these 100 ideas provided by a one of the best local guides from Tenerife offering exclusive private VIP tours on the island, so you can be sure - you have the most valuable and worthy information in this list guiding you across all the most interesting things to do in Tenerife. On this list here's no priority which thing to do is more or less important, they are listed quite randomly. You can easily decide about importance by yourself, because every person have different interests, age and own style of travelling. So, here we go - read and make your plans for your holiday in Tenerife. We will be also thankful, if you can share this article among your friends, if they're considering to spend their vacations in Tenerife in the future. You will save them a lot of money and time for researching about things to do in Tenerife. 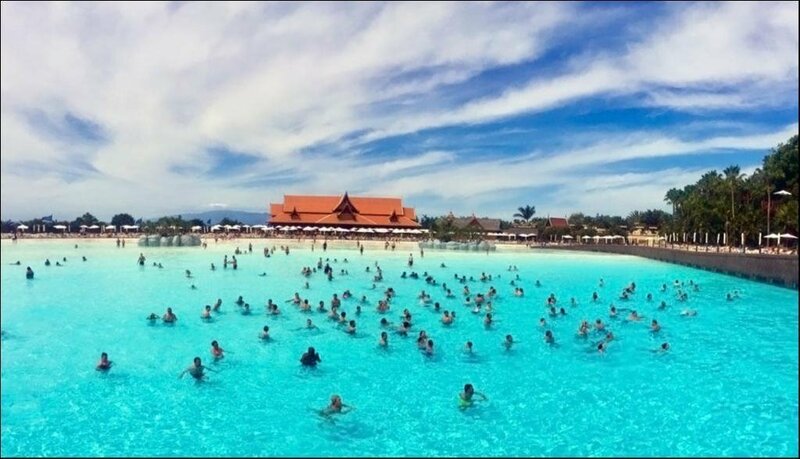 This is quite obviously - Siam Park is the biggest water park in Europe and one of the easiest things to do in Tenerife, accessible within 5-30 min drive from all the resorts of Tenerife South. Located in Costa Adeje Siam Park is open from the morning till the evening seven days a week all the year long. 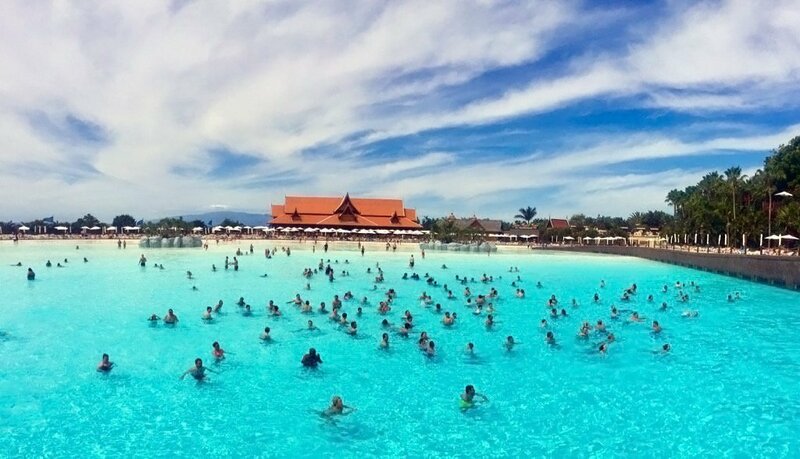 Siam Park offers tens of different level of water slides, slow river and huge artificial lake - a pool with small islands and biggest artificial waves in the world. Here you will find a fun for every taste and age. Basically most of slides are available from kids that are 140cm or more tall. If you stay in Tenerife South, you can take free Siam Park bus, coursing every 30 minutes from the marked public bus stops in Los Cristianos, Las Americas and Costa Adeje. Staying in more remote and less popular resorts in Puerto de La Cruz you can take Siam Park Day Tour from Tenerife North. Also island visitors staying in Los Gigantes area are able to get to Siam Park with Siam Park Day Tour from Los Gigantes area. Counted as the best animal park and zoo in the World this is second obvious of things to do in Tenerife - you simply must visit Loro Parque at least once to admire this amazing paradise for animals living in perfect conditions. There are four animal shows performed by killer whales, dolphins, sea lions and parrots. Having entry tickets to Loro Parque you are free to visit whole the park attractions and shows as many times along the day as you wish. Loro Parque also built and keeps the world biggest penguinarium with natural Antarctic conditions as well as huge aquariums for sharks, stingrays and many other species of fish. You can walk there inside in the glass transparent tunnels. Loro Parque is located in Puerto de La Cruz on the North side of the island and therefore you need to get there somehow from the South. The best options, cheap and really fast are Loro Parque Express Tour from the South or Loro Parque Express day tour from Los Gigantes area - it depend where you stay. Things are more simple for those who stay in Puerto de La Cruz - you have to walk to to the city centre where from from you have free wheel-train that departure every 30 min to Loro Parque. Good idea will be to join a regular Loro Parque Discovery Tour after entering Loro Parque - these tours realized by Loro Parque guides allows you to see the park from the backyard - that one of things to in Tenerife by itself, because you can see how animals spending their 'free time' hidden from the eyes of visitors. 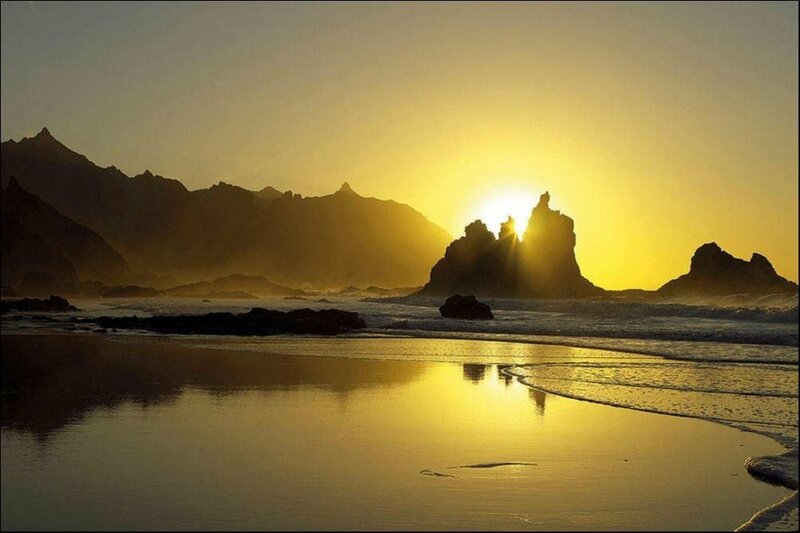 No doubt, the most important natural attraction of Tenerife and the most visited national park in Spain. 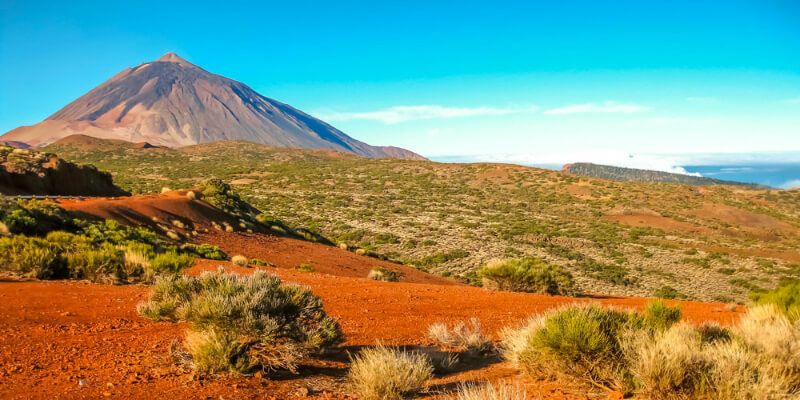 Teide National Park by itself it also the biggest single crater in the world and the most important Tenerife volcano Teide is located right in the middle of this huge pre-historic crater. Feel yourself on another planet with so strange landscapes, totally endemic vegetation and unusual colours of rocks and lava fields. You can easily spend a day in the Teide National Park - there's no entrance fee, so you are free to visit it by yourself or take one of available tours to the Teide National Park - there are many ways to visit taking Teide Light trekking tour or Teide Quad tour, Teide buggy tour if you like adventures, Off-road Jeep tour if you wish to drive off-road, private VIP tour to Teide if you love comfort and high tour level, Teide Express Bus tour if you are limited with money, etc. There are a few precautions you have to remember visiting Teide National Park. First of all, remember, the air there is extremely dry, nearly 0%, and that means you must always have water with you and drink a bit every 10-15 minutes to avoid dehydration effects. Second - you better pack your own food with you, eat somewhere before or after visiting Teide National Park. There are a few restaurants there, but the food is total 'trash' and quite overpriced - it because they have lot of visitors no matter what quality they serve. Third - if you plan to use cable car (we don't put as the separate of things to do in Tenerife, because it's simply too crowded and not the best of things to do in Tenerife) so you better book the cable car in advance online, choosing exact date and time spot. Chances to get tickets to cable car coming straight there are close to zero. Fourth - if you are renting car and driving to the Teide National Park by yourself - a) don't cut corners on the turns as you do it in your home country with wide and straight roads. Most road accidents are caused by tourists that do so, turns are blind and roads are extremely curvy. b) don't leave any belongings, if you leave your car - there are thieves broking windows and steeling things in seconds without a chance to catch them - police don't do nothing with that, unfortunately. This is very unique experience you can get planning your things to do in Tenerife far in advance. Teide Peak which's 3718m high is the highest point of Atlantic Ocean, highest mount in Spain and it's impossible to get there without permit. Number of people allowed to hike to the summit is very limited and the way to the peak is blocked by park rangers on the altitude 3550m. You must show your passport and special permit from the National Park Direction to climb the Mt. Teide summit. If you want to climb by yourself, you must apply for the permit by yourself at least 2-3 month in advance. Fortunately there are organized tours with special group permits to the Teide peak and, if you book one of these tours in 3-8 weeks in advance, you have pretty good chances to get permits and step on the Teide Peak. One of these tours is Teide Peak with cable car - that means you are getting by cable car to 3550m and hike from there to the summit and back to the upper cable car station. This option doesn't require you to be extremely fit and strong - average person can participate and hike. For very experienced hikers in a perfect physical condition there's another Teide Peak full trail tour. On that tour you are doing full trail hiking from the Mt. Teide foot on altitude 2300m to the top and then you return back by cable car. 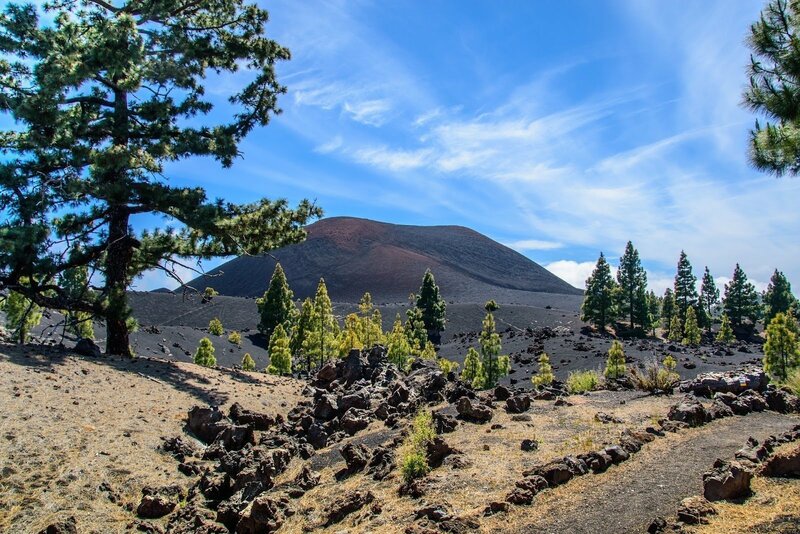 Volcano Chinyero is the youngest Tenerife volcano erupted last time just 111 years ago and it's located below Teide toward Icod de Los Vinos surrounded by the beautiful pine forest. Almost not visited by tourists and hidden from popular ways this if one of beautiful things to do in Tenerife, if you'd love to go somewhere to unusual hidden destination. You can park your car by the main road and simply take a walk toward the volcano Chinyero (don't leave nothing in the car) - there are a few marked and unmarked paths. 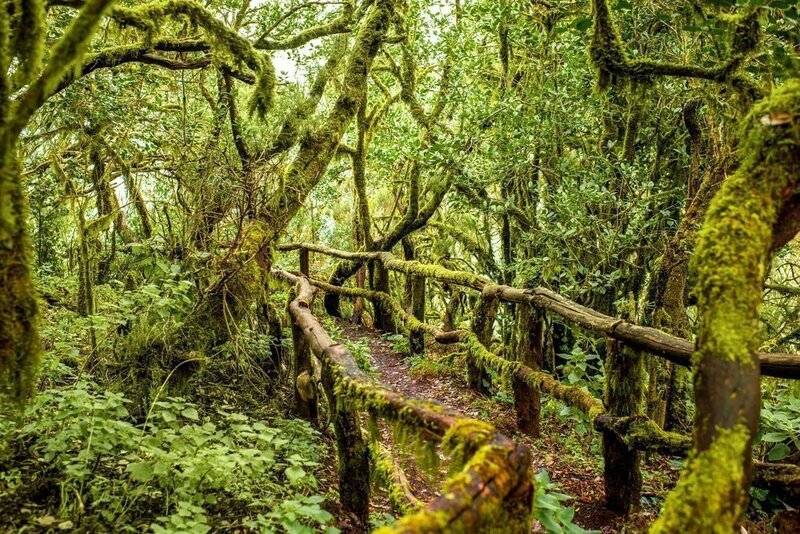 Alternatively, if you afraid to be lost what's easy in the forest, you can take Volcano Chinyero trekking tour privately, so your guide will take you to the best remote places around this youngest volcano in Tenerife. Serve yourself with a beautiful 3-4 hours hike from Los Cristianos. Surprisingly, rising up right over Los Cristianos, one of the most popular resorts in Tenerife, Mt. Guaza almost never visited by tourists. There are no hiking tours organized by local tour operators to Mt. Guaza and therefore you will have to do it by yourself, but no worry - there's impossible to be lost. What you have to do is to go down to the beach of Los Cristianos, and facing sea turn left and walk to the end of Los Cristianos. Firstly you must hike the Palm Mar Wall cliff and then turn slightly left walking toward the mount until you see the summit with lot of antennas installed there. It's moderate hike, not the easiest one, but is not too hard as well. Take enough water with you and don't forget your camera. From the Mt. Guaza summit you will admire very memorable views, so you may want to make photos documenting you've just made one of quite non-standard things to do in Tenerife that others never do. There are many beaches in Tenerife, but Playa de Las Teresitas is absolutely standing out of all the other 'playas'. Build with 270 thousands tons of golden sand, specially delivered from the Western Sahara and protected from oceanic waves this beautiful beach create an artificial lagoon where you can enjoy both swimming and taking sun. If there's too strong sun you can hide under one of hundreds palm trees surrounding the Playa de Las Teresitas. Located by San Andres town it's quite far from any resorts and almost empty working days, but on Saturdays and Sundays it's full of people coming from the capital agglomeration. The Playa de Las Teresitas is really extremely beautiful beach and, if you like spend your time on the beaches it must be on your list of things to do in Tenerife, especially summer time. Quite famous attraction of Tenerife located in Icod de Los Vinos. Dragon trees were populating whole our planet some 65-70 millions years ago when dinosaurs were living on the Earth. These trees now survived only in Canary Islands, Cape Verde, Madeira Island and Socotra Island. The Dragon Tree in Tenerife is the oldest Dragon Tree in the world and its age somehow between 1000 and 5000 years old. The Dragon Tree in Icod de Los Vinos is definitely among three oldest trees on the planet and it's one of things to do in Tenerife to see the Dragon Tree. Around the tree there's nice botanical garden with cave installation showing how native people of the island, guanches, were living in the caves. You can get to the Dragon Tree with a private Go West tour or with Teide and Western Coast bus tour. Right after visiting the Dragon Tree in Icod de Los Vinos you can step to the other very interesting place which you will find on the way to the botanical garden entrance - Museo de Malvasia or Museum of Malvasia in English. This is one more of things to do in Tenerife, if you are passionate of wines. Malvasia is the name of grape and wine - the most expensive wine in Tenerife and this wine was playing very important role in the history of the island. 400 years ago Tenerife was the main exporter of nice wines to England and to European royal houses. It was mainly Malvasia and it was the favourite wine of William Shakespeare and many other prominent people of that times.You can even book quite inexpensive private wine tasting in Museum of Malvasia. But, even if you are not for wines, you can visit cosy garden on backyard and see how's growing avocado, coffee, guava, papaya trees, passion fruits, etc. Thee thing you probably never seen before. This is something really special - Taborno is a remote village located in the heart of the wildest part of Tenerife. This is one of the things to do in Tenerife for those who love to do unusual things. The way to the village is quite long and there's no popular and cheap tours there, but, if you take the private tour to Anaga Mountains and Jungle, you can ask your tour guide to take you Taborno instead of the more popular Taganana. Here you can admire breath-stopping views from the heart of Anaga peninsula and on the way to and from the village notice how dramatically nature, climate and vegetation are changing. An extremely unusual and beautiful Anaga Adventure hiking tour to the Northernmost area of Tenerife must be considered by you as one of things to do in Tenerife, if you really wish to discover the nature of the island in one of places where it is perfectly preserved from the human influence. At the same time it is the most remote place on the island you can get to. The hiking route is quite hard and you must in good physical condition to be able participate in this activity with your private guide in Tenerife. A special experience available to everyone who truly wish to know the island. Usually sticking in a resort on the South you even cannot imagine how different it is in every single corner. And, if about Anaga jungle - this is endemic jungle survived only in two place in the world, including Anaga peninsula in Tenerife. Take a private tour to Anaga or Two Capital & Anaga Jungle bus tour to feel it for a while. Even paths in Anaga jungle are extremely steep, in the place called Cruz del Carmen there are paths accessible even with wheel chair, so everyone can get this experience. This is very long story about Garachico and on a tour your guide will explain you in details. In short - this is first capital of the island and this is local Pompeii - the town was completely destroyed by Tenerife volcano eruption and lava more than 300 years ago. Garachico is absolute 'must see' and you have to put it on your list of things to do in Tenerife. You can visit it with the Tenerife Magic Circle tour or with the same cheap bus tour you visit Dragon Tree. In the waters between Tenerife and La Gomera islands there are hundreds pilot whales living. Any boat trip longer than 2 hours will serve you whale watching with almost guaranteed result. There are tens of whale watching boat trips, from big catamarans packing a hundred people on board to private yachts offering whale watching in more private atmosphere with a few trip participants on board only. If you are fun of big companies then you can take a 3 hours catamaran boat trip. 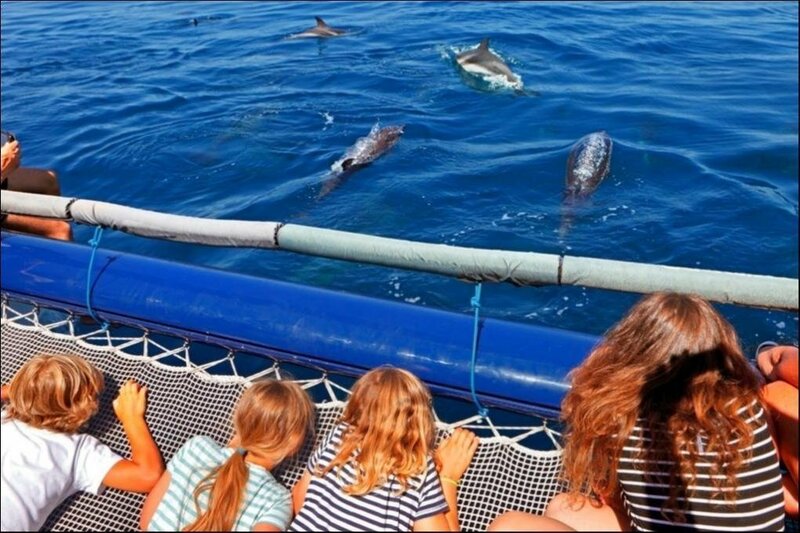 If you are limited with budget, then shorter 2 hours long catamaran whale watching boat trip is the option for you. And, finally, if you are looking for the best possible whale watching boat trip, the Ayla 4 hours long boat trip is that what you must to reserve. 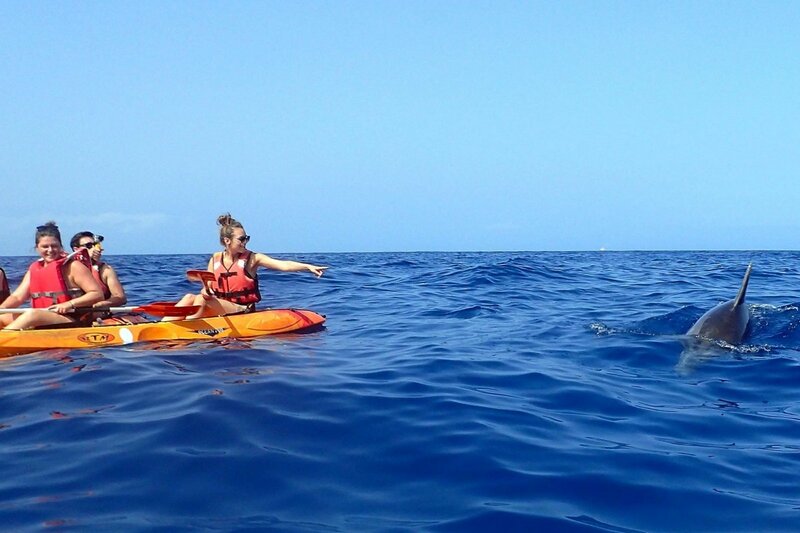 Taking unique Dolphin Watching Kayak tour from Los Cristianos is another of non-standard things to do in Tenerife. You are departing in a small group of kayakers with assistance of local kayak instructor directly to the fish farms nearby Palm Mar Wall. Dolphins are gathering there to get an easy meal and usually this happens on the 1st part of the day. That's amazing experience to see these gracious animals so close to you in their natural habitat. Projected by famous architect Santiago Calatrava Auditorio de Tenerife is the modern concert hall and home of Tenerife Symphony Orchestra. Constructed in 2003 now it's symbol of the Tenerife's capital - Santa Cruz de Tenerife. Counted as one of the Top-10 world class masterpieces of modern architecture it's worthy to place among your things to do in Tenerife. You can attend one of the concerts performed in Auditorio de Tenerife or, alternatively, just walk around and have a cup of coffee or a meal in the Auditorio's cafeteria with beautiful views on the ocean, gardens and capital city. Located in a cozy peninsula right in the island's capital Palmetum is a beautiful oasis of nature in the city. You can spend nice time walking and relaxing in this tropical garden taking Santa Cruz de Tenerife city tour from the South of the island. One of the other things to do in Tenerife is relaxing and swimming in the Lago Martianez - a almost kilometre long system of scenic pools filled up with natural sea water. You have to buy an admission tickets, just 5.50 Eur per person, which includes right to use sun beds and all the infrastructure. Getting there you can easily spend all the day there in absolutely relaxing atmosphere. Winter months water could be a bit cold there. Maybe not a special destination to travel in order to see it, but, if you are driving down from Teide National Park through Portillo to La Orotava or Puerto de La Cruz, don't miss on your right hand side the Rose Stone - incredible rock formation in a shape of flower. 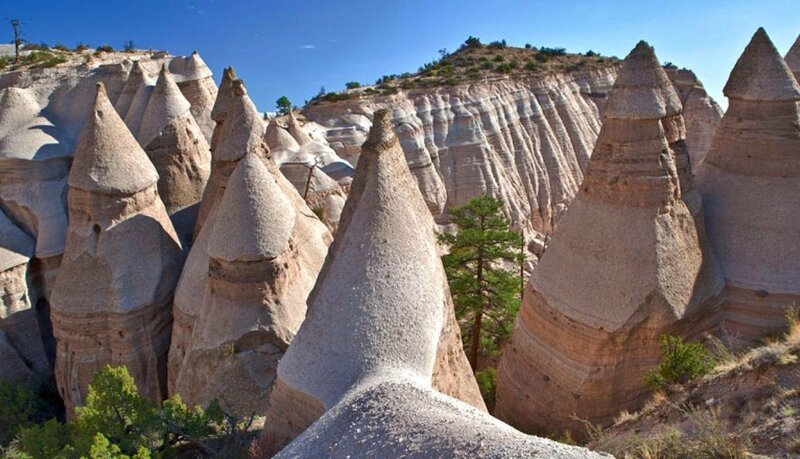 It formed with the lava when it was flowing underground and cooled up. You can surely see the Rose Stone on the private Magic Circle tour. Another amazing thing to do in Tenerife, if you like hiking, is to see the place called Paisaje Lunar or Lunar Landscape - these are very strange rock formations located within a few miles walking from Vilaflor village which's an attraction by itself, because Vilaflor is the highest village in Spain situated a mile over the sea level. You can't get an organized tour to the Paisaje Lunar, but you can get to Vilaflor by rented car or by public bus and do the hike on your own - the path is clearly marked. Tenerife is famous for its local wines and not just a wine tasting, but also visiting local vineyards it's really nice experience where you can see how locals taking care of their grape plantations, keeping and using their traditional wine producing technologies from the hundreds years ago. You can visit local vineyards and taste Tenerife traditional wines with the Tenerife Wine tasting tour. The only thing to do to taste really local Canarian food you need to do is to find right restaurants. It's easier on the North of the island and very hard on the South dominated by restaurants targeted to 'one time tourist visit'. On the North you can find 'guanchiches' - local restaurants serving you home made food. On the South you rather have to walk up away from the beaches and touristy places and look where are locals eating. 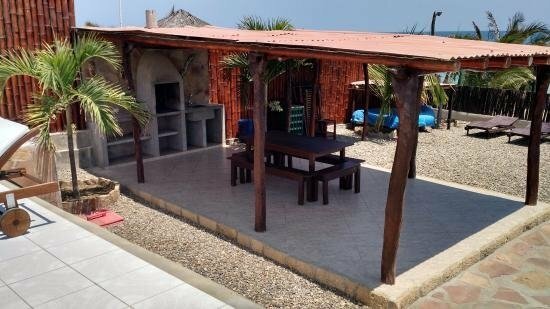 One of the best examples of good restaurants serving you authentic local Canarian dishes are Restaurant 'El Gomero' in Las Americas and restaurant 'Brisas de Teno' in San Bernardo village on the North. Typical Canarian dishes are grilled goat cheese, rabbit meat in garlic sauce, goat stew in garlic sauce, papas arrugadas (salt potatoes served with typical Canarian sauces - Mojo Rojo and Mojo Verde, Barraquito coffee and surely, local house wines. You can taste the best local dishes on the private tour Around the Island. You already know about the best theme parks in Tenerife - Siam Park and Loro Parque, but what if you are very limited with budget? The answer is - Aqualand water park and Jungle Park described bellow. Well, these parks maybe not excellent and not as good as the best ones are, but they are cheap. You cannot expect something especially good, if it's cheap, but at least you can have a fun along the holiday in Tenerife. Aqualand water park is very good choice, if you are travelling with small kids, because there are pools and slides for children and additionally you can attend daily dolphin shows there. Owned by the same company as Aqualand the Jungle Park advertised as an animal park. In fact the Jungle Park is more botanical garden than a zoo. Plants are having there definitely better than animals. Jungle Park is situated quite far from the main resorts, but it offer their free bus going a few times a day from a few pick-up points in Los Cristianos, Las Americas and Costa Adeje. If you are staying on the South and cannot afford Loro Parque or simply don't wish to drive to the other side of the island then you may place Jungle Park on the list of your things to do in Tenerife. Located on the North of the island just right over Puerto de La Cruz La Orotava is a star if about the architecture - old town of La Orotava is absolutely outstanding if you try to compare it with other historical towns in Tenerife. Main reason why it so it because in the part richest people of the island were living here - in La Orotava. Banana plantation owners, wine magnates, traders and ship owners were building their houses one by one. Each one wanted to show he's more rich and can afford bigger and better home with more advanced architecture. That's why walking streets of La Orotava you may have feeling you are moved somewhere to best examples of old Italian towns, but you are still in Tenerife. 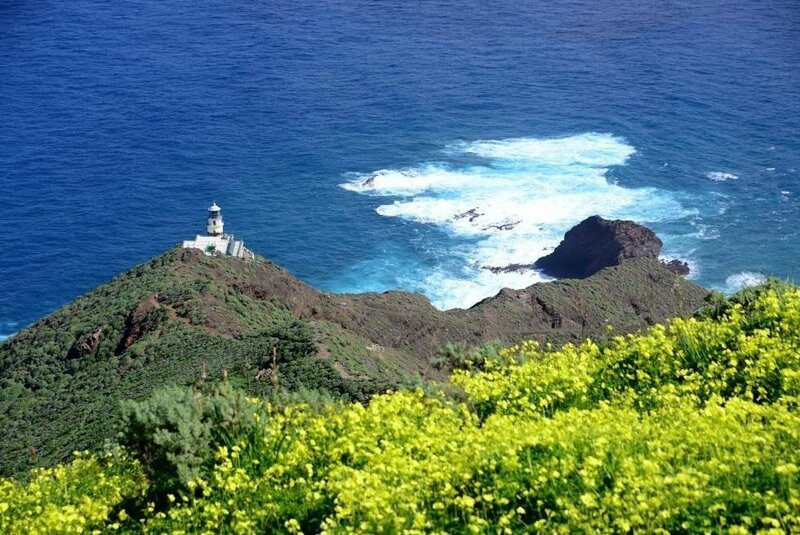 An interesting destination is Punta de Teno - westernmost point of the island. There's the only one Go West private tour available, if you've placed Punta de Teno on your list of things to do in Tenerife. The other option is to rent a car and drive yourself extremely curvy roads. Punta de Teno accessible by road only on Mondays, Tuesdays and Wednesdays - all other days the only road there is closed for public. From old abandoned lighthouse you can enjoy unusual view on Los Gigantes cliffs and experience local microclimate - Punta de Teno triple protected from cooler North-East trade winds by Anaga Mountains, Teide and Teno Mountains. You can also swim in a tiny lagoon from a small beach - waters there are usually warmer than everywhere else by the island. If you are looking for free things to do in Tenerife this is one of them. Do as locals do - this is a local tradition, people often prepare food and drinks and going to the ocean shore for a picnic. Surely, you are not going to the public sand beach, but somewhere where are rocks and stones. Locals also usually charcoal with them and make a grilled meat and fish on a flat stones heated by charcoal. You can choose less windy day and make together with the beautiful sunset watching. Here's one more of completely free things to do in Tenerife if you are up to trekking. Localize on the map Punta Salema - this is the southernmost point of the island accessible by quite long walk only. Firstly you have to get to Las Galletas and walk to the Red Cross office placed at the end of the beach on the other side from marina. From here walk away from Las Galletas along the sea. The scenery is beautiful with a lot of cactuses and endemic plants that can survive this dry climate. Once you've reached the banana plantation you are almost home. Enjoy the walk, amazing views and by Punta Salema there are a few tidal pools where you can relax in its warm waters heated by the sun along the day. It's not the cheapest of the things to do in Tenerife, but it definitely worth of every cent you spend for a Jet Ski tour in Tenerife. There are a few options, but the best one is the 2 hours long safari Jet Ski ride in open ocean is absolutely different from the one you can have on a lake or a river, mainly because the size of waves and you're really having fun beside with unusual sightseeing and in some jet ski safaris also snorkelling experience. Are you coming on holiday here with children? In this case the Submarine safari in Tenerife simply must be on your list of things to do in Tenerife! It's not just unusual even for adults to observe marine life from a real submarine submerged 30m underwater, but it's also excellent educational experience for your kids to see the world from the other perspective. It's highly recommended to book your submarine dive in advance, because the submarine makes just 1-3 dives a day, depend on the season, so, please, book upfront before you fly to Tenerife to make sure you have your places reserved onboard. Are you searching for something especial to get a fun in a group, socialize with other people and do something what others even cannot imagine? That's it for you've been searching for, take the Teide Downhill bike tour in Tenerife - astonishing experience is simply guaranteed even by idea of this uncommon ride. Picked up from your hotel and taken by minibus to the top of the island you receive your bike and effortlessly raft down to the shore in a group with guides taking care of your safety. Instead of packing into a tour bus for a regular cheap coach tour in a group of 50-70 people you don't know and having just 2-3 stops in standard touristy places you may consider totally different way of exploring the island - take a private tour in Tenerife. On private tours in Tenerife made exclusively for you are discovering both the island 'must see' attractions and endless hidden gems that your local private guide can uncover. Escape the crowds and get to know real Tenerife serving yourself comfortable and fully customized experience. If you like mysterious stories good idea will be to visit ancient Pyramids of Guimar situated in the Guimar town as the name tells. Nobody know who and when built these six pyramids on the island. Norwegian explorer Tor Heyerdahl was investigating these pyramids for years and he was supposing there was a connection between ancient civilisations of Egypt and Maya in South America, and the Tenerife with Pyramids of Guimar was a stop point when ancient sailors were travelling between South America and Africa. This theory was never proved and pyramids still remain an mysterious and uncovered puzzle. Get a total relax and find peace of your mind walking in this stunning tropical garden hosting plants not just from Canary Islands, but also from many other tropical and sub-tropical countries in the world. Here you will find a lot of endemic species from the wildest areas of our planet hard to see in the nature nowadays. Botanical garden of Puerto de La Cruz is one of things to do in Tenerife you may serve yourself completely free-of-charge. 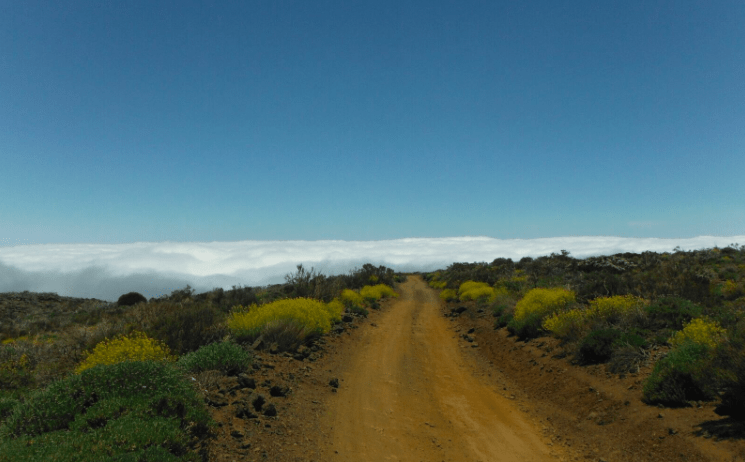 Why not to see the other of Canary Islands in a day tour? This is possible visiting closest neighbouring La Gomera island. You can take ferry by yourself from Los Cristianos, but ferry tickets are quite expensive and it's better simply book a day trip to La Gomera that already including ferry. There you have 2 inexpensive options with a regular sightseeing bus tour to La Gomera and La Gomera hiking tour or more expensive exclusive private tour to La Gomera. This is the island where from Columbus started his trips to America and all central part of the island is the Garajonaj National Park and home for endemic rain forest. Undoubtedly you have to consider visiting La Gomera staying and planning your things to do in Tenerife for more than 10 days. This small town easily accessible from the main TF-1 highway playing important role in religion life of the island. Counted as a holy place this is destination for tens of thousands pilgrims from South and Central America. It because Christian missions that brought Christianity to many countries of South and Central America were starting from Candelaria which was just a small fishing village in the past. Here on the main square you will also find majestic statues of Guanches - native people of the island. Candelaria could be easily placed on your checklist of things to do in Tenerife just by the way travelling from the South to the capital or vice versa. There are different kind of jeep tours available among the things to do in Tenerife. If you imagine you are going to drive in the wilderness, please, remember - almost any Tenerife jeep safari is on road jeep sightseeing trip except the only one 4x4 off-road Jeep tour in Tenerife. This is the only jeep safari where you are driving by yourself and good part really off the road. It's worth to book, if you are adventurer and like a special way of exploring the island. The other option, if you are up to off-road driving is to book the Tenerife Off-Road Enduro Motorbike tour. On this tour you are going in mini-group and driving completely off-road by a special enduro off-road motorcycle with a local guide. Do do this thing in Tenerife you are required to be able drive motorcycles and have some experience in that. If you are brave enough it's inevitable to consider a paragliding flight in Tenerife to jump from the high mount and fly 40-50 minutes over the island. Despite of scary looking for most of people it's extremely safe and enjoyable thing to do in Tenerife, because you are flying with extremely experienced paragliding instructor. Winds from the sea heating mountainous coast and creating air streams going up from the shore. That makes ideal conditions for paragliding in Tenerife most of the days. A thing to do in Tenerife for every age with a bit of adrenaline and a lot of joy. 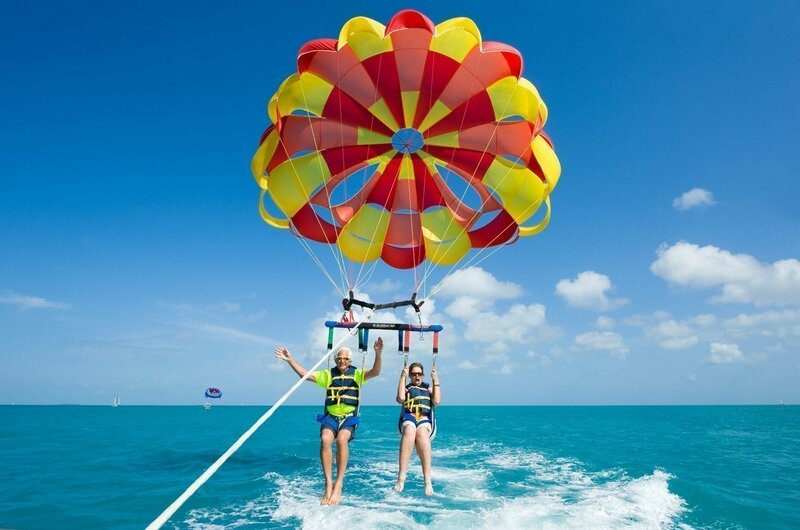 Parasailing, also called a parascending, is flying on a special parachute pulled by boat. Whole the activity takes you an hour with a boat in the sea and you are spending approximately 10 minutes in the air even up to 110m over the ocean. Parasailing in Tenerife is really safe and fun thing to do. Are you fun of luxury unusual things to do or maybe want to impress your partner with a special surprise? In such a situation it's quite obvious you are getting that a thing booking a helicopter tour in Tenerife - there are a few helicopter trip options are available and this one of the ideal things to do in Tenerife, if you need it for a special occasion. FlyBoard is extremely fun activity, but you must be sure you are in very good physical shape to do this thing. Basically, with FlyBoard you are taken to the sea and wearing a special FlyBoard equipment connected and powered with a jet ski engine you can convert into a dolphin flying over the waves and diving to the sea. There's a lot of fun with FlyBoard, but again, make sure you are in good shape, so you will really enjoy having FlyBoard in Tenerife. One of the nicest relaxing experiences among the things to do in Tenerife is to charter a yacht privately for your family or group of friends. Even it's not a cheap thing to do, but if you are getting really relaxing time in the sea watching whales, snorkelling or simply chilling out on board of a sailing yacht that's entirely for your disposition. There are many various yacht to charter privately and the best possible options are private charter of Ayla sailing yacht or Big Smile Luxury yacht charter. Arriro-Kosamui private yacht charter is an option as well, maybe it's not a luxury boat, but this is one of the cheapest possible Tenerife yacht charters. Atlantic Ocean is full of big surprises, if about fishing in Tenerife. Generally you have two different options - first one is take a shared fishing trip in Tenerife, so you are fishing with up to six other people from fully equipped fishing boat. The second option is to charter fishing boat privately for yourself only. In this case you are person that decide what species you looking for and there are many of them - wahoo, blue and white marlin, shark, mahi-mahi, stingray, barracuda and lot of other species. The other funny thing to do on the island is to serve yourself absolutely crazy ride with a Big Red Jet Boat - actually the most powerful boat in Tenerife. The ride takes just 20 minutes and it's rather inexpensive, but experience you are getting is absolutely breath stopping. This demon of power goes straight, then suddenly turns, spurts again and then almost immediately stops half diving under water, then flying of the top of waves.... Just crazy... And totally safe. If you love a fun, believe, Big Red jet boat is better than any roller coaster. No matter are you coming to Tenerife summer or winter time, you can enjoy snorkelling at the sights with richest marine life. Atlantic is not a Red Sea in Egypt, but first of all sea life here is different. You can snorkel by yourself by the beach, but there'll be hard to see something and therefore the best idea is to place Tenerife snorkelling tour on your list of things to in Tenerife - you are taken by speed boat to the best spots like Palm Mar Wall or La Caleta. If you are passionate of underwater world maybe it's a time to start your diving experience in Tenerife. Here you can take a Try Dive - diving tour for beginners which include your first lesson and your first real dive safely assisted by diving instructor. Scuba divers also can consider Tenerife as one of nice diving destinations. Coming to the island with children and looking for things to do in Tenerife with kids you can put Canary Escape Adventure game on the list of things to do in Tenerife with kids. With this adventure game you are searching for treasure of the Black Pearl ship which was hidden by its captain Barbarossa on a remote mysterious island a few centuries ago. Another one of things to do in Tenerife with kids is famous Medieval Night Show in the Castle of San Miguel located in Aldea Blanca village. Along the medieval tournaments and shows you are also served with food and drinks in medieval style. It could be joyful evening for all your family, both adults and children. 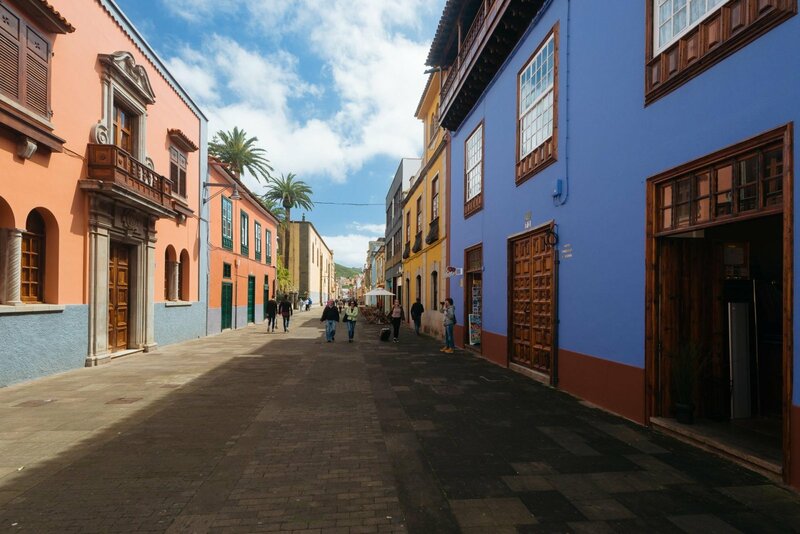 San Cristobal de La Laguna was the second capital of the island after Garachico was smashed by lava flows and actually beside with La Orotava town historical centre of La Laguna now is no the UNESCO list of World Heritage Sites. Despite the name suggesting location by the sea La Laguna is situated on a quite high altitude and it's one of the places in Tenerife with cooler weather. Consider spending an hour or two walking colourful streets of its old town. One of the nicest alternatives for the beaches worthy to place on your list of things to do in Tenerife is swimming and chilling out at natural tidal pools on the island. Even here are lot beaches, but generally coastline is quite rocky and often formed by lava that was flowing down right to the sea. This way nature created a lot of tidal pools and the most famous tidal pools of Tenerife are situated in Garachico, Bajamar and Punta de Hidalgo. You can get by TITSA public buses to all these places. Duding the low tide it's nice to swim in tidal pools, because its water warmed by sun and it's much warmer than in the open ocean or by a beach. Other of things to do in Tenerife that's absolutely free are its volcanic black sand beaches. You can find these beaches everywhere around the island and most famous of them are beach in Candelaria, black sand beach Playa de Arena in Puerto de Santiago and remote beach Playa del Burro nearby San Andres town. There are 3 main areas of nightlife concentrated mainly in Las Americas, but also in Los Cristianos and Costa Adeje. 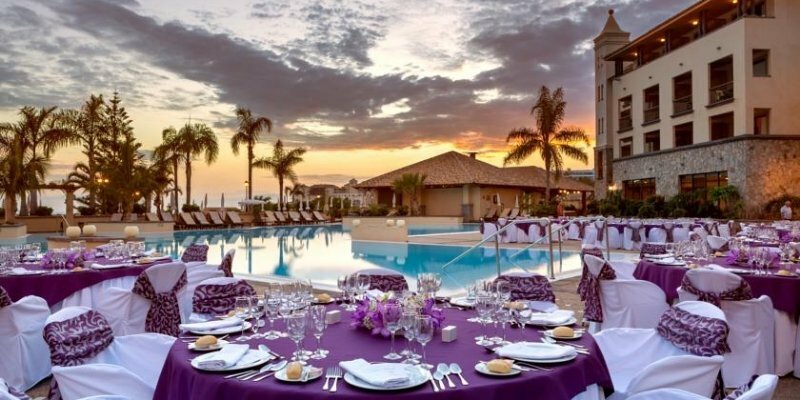 If you are fun of nightlife and planning it among your things to do in Tenerife South you can consider going to the are called Las Veronicas in Las Americas. Another such a place located in Los Cristianos in the shopping centre San Telmo right by the beach. If you stay i Costa Adeje there's Achaman club and disco. At most of these places nightlife just starts at midnight and goes on till the morning. In the past there were a lot of pirates around the island attacking not just ships and traders, but also villages and towns locates by the coast. Finally Spain decided to make a big action sending military troops to simply eliminate pirates. That was successful mission, unfortunately for pirates. Trying to survive and hiding from soldiers some of them found an unaccessible place and build there their small houses - this is called Masca village and it's one of the most popular things to do in Tenerife now. People coming with a visit there for Masca hiking and to enjoy amazing views. There's an amazing private tour Tenerife in the Sky you can take to have one of the most exiting days of your vacations in Tenerife. Landscapes, climate zones and amazing views are changing like in a kaleidoscope. You feel yourself like in a movie crossing deserted ares, forests, volcanoes and most of the time you are above the clouds having feeling you are flying over the island. If you cannot afford a private tour, you may rent a car in Tenerife, start from Los Cristianos and just drive roads TF-565 and the TF-21, then TF-24 and TF-12 to San Andres to finally return back by TF-1. This way you will get similar experience, even you may miss hidden gems on the way. One of ideas you may like is quad biking in Tenerife. That's a different way to have a sightseeing and fun at the same time. The a few popular quad tours in Tenerife and among these things to do in Tenerife the best tours are Teide Quad tour for those who'd like to drive by quad to the most important natural attraction of the island and Forest Explorer quad tour for those who prefer having fun driving along the unpaved roads a good part of your quad trip in Tenerife. This an option for older people that don't want to move too far from the resorts area and cannot walk too much. You are sitting in a the funny open space electric vehicle called Tuk-Tuk with your guide and driver which take you around. Really nice Costa Adeje and countryside Tuk-Tuk tour recommended for older people or just a fun short sightseeing. Costa Adeje market – Open on Thursdays & Saturdays; 9am-2pm. Los Cristianos market – Open on Sundays; 9am-2pm. Golf del Sur market – Open on Fridays; 9am-2pm. Los Abrigos night market – Open on Tuesday evenings; 5-9pm. Guaza market – Open on Sundays; 9am-2pm. Happy Days Car Boot market in Costa del Silencio – Open on first Sunday of the month; 9am-2pm. African market in Santa Cruz – Open on daily; 9am -2pm. We can say not football, but surfing is the national sport of Canary Islands - there's hard to find a Canarian that never try surfing. If you are also up to surfing, you can attend surfing classes in Los Cristianos and El Medano. After finishing basic course you can improve your surfing abilities renting a surf board and going to the best surfing destinations like El Medano or beaches of the North where big waves are almost always guaranteed. Hard to find better way to get in direct touch with the nature - take a horse riding adventure trip in Tenerife. You are riding horse in a small group across untouched by mass tourism areas. 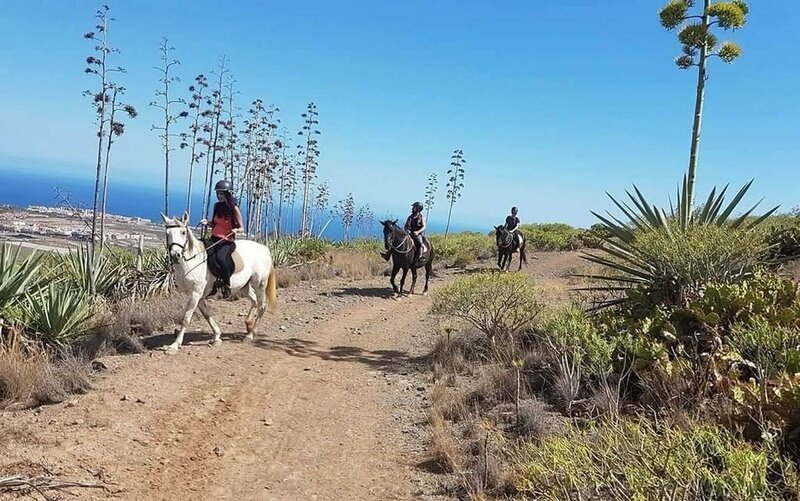 If you don't know how to ride a horse and how to behave with these beautiful animals, the option is also to take a horse riding classes in Tenerife, so you come back from vacation with new skills and knowledge. Even camels are not native in Canary Islands, but in the past some farmers were using them for transportation on the South of Tenerife where deserted areas creates perfect natural conditions for camels. You mat spend a perfect family day booking a Camel safari from Camel Park, a cozy place between Chayofa and La Camella villages. Cruise ships docks in Santa Cruz de Tenerife - it's quite modern city and you ought to take a real Tenerife private shore excursion to discover all the beauty of the island. Surely, if your cruise ship operator offers coach tours you can take it as well, but that's a kind of mass tour that takes you only to one or two the most touristy spots like Teide National Park or sometimes to the West coast. These are nice places, but it just a small part of the island. Supposing you are really interested in the island a private shore tour simply must be on your list of things to do in Tenerife. Staying in Los Cristianos, Las Americas or in Costa Adeje and La Caleta you must know there a nice thing do to for free - simply walk along the Promenade. The Promenade starts from the beach of Los Cristianos and leads you for a few miles to La Caleta all the way by the ocean. By the way you pass hundreds restaurants, shops, luxury hotels, cafeterias, pubs, bars, etc. You may stop somewhere and chill out observing a beautiful sunset with a nice drink or glass of wine. As you maybe noted most of historical towns of Tenerife are situated on the North and North-West of the island. The South is quite modern without any historical heritage in its architecture. It because in the past people were living where water is and on the South rains just a few times a year. But there's less known and really nice place you can put on the list of things to do in Tenerife - Adeje village. Don't confuse it with Costa Adeje even two towns are quite close. There in Adeje you will find older streets with good examples of typical architecture of Canary Islands. And, even it sounds strange, but it is also worthy to visit cemetery of Adeje. Punta del Hidalgo is quite remote and also quite strange place with unusual majestic lighthouse and tidal pools. If you wish to see how hotels and tourist industry of Tenerife was looking some 30 years ago, you are welcome to Punta de Hidalgo. Some hotels even seams to be abandoned. There you also will find natural and man made tidal pools and a few restaurants to taste sea food and local specialities. Generally a visit to Punta de Hidalgo seams to be like journey back in the time. These places are absolutely amazing and must be noted on your list of things to do in Tenerife, because the surrounding nature beauty and power. It hard to describe, but located on the other side of Anaga peninsula these two villages represent a traditional style of life before the island infrastructure was developed. Even now some houses has to roads nearby and they use cable cars to move staff in a baskets from the road on the ridge down to the house. One of interesting experiences is to watch the biggest wild animals on the island - wild goats. You can observe wild goats very close to you in the most remote areas of Anaga peninsula. There are two ways to get there - with local guide taking Anaga Adventure private hiking tour or getting by yourself to Chamorga village and hiking to Faro de Anaga lighthouse and back. The hike is quite hard, but it pays you with incredible views and a lot of wild goats you can meet on the way. That's interesting, because bananas are main agricultural export product of the island and you can find big banana plantations everywhere on the island. Some banana plantation owners may allow you to walk inside between banana trees. If not, you can always put Tapas light hiking tour into your plan of things to do in Tenerife and with this tour you will visit one of banana plantations. 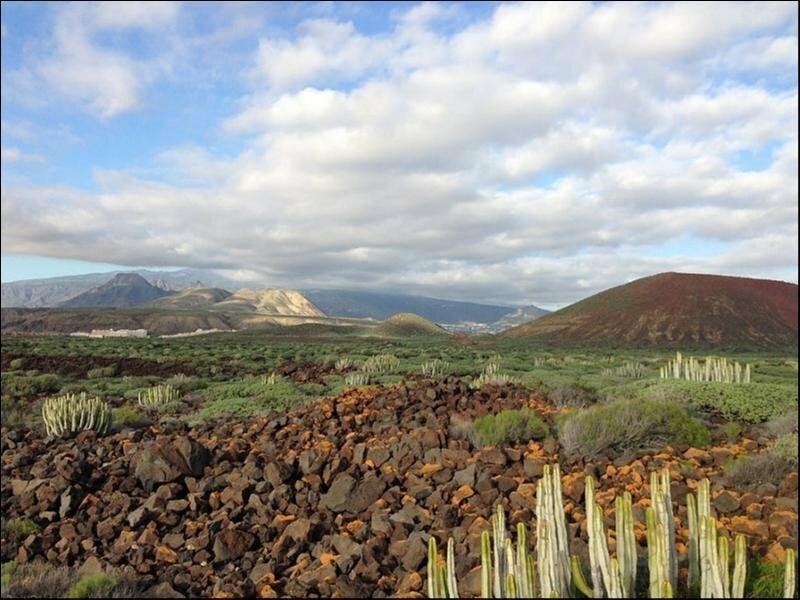 Minas de San Jose is a kind of volcanic desert located on the Northern side of Teide National Park. It offers extremely unusual views of typical landscapes of the Moon, Mars and Venus, do walking there you can feel like you are moved somewhere to another planet - no doubt one of the things to do in Tenerife. Maybe you even don't know how strongly Tenerife connected with South America and especially with countries like Venezuela and Colombia. There are a hundred thousand island's residents with South-American roots. It because strong Tenerife and South America connections across the hundreds years. A fun thing to do is to go to a Colombian restaurant in Tenerife and play a game called Sapo (frog in English) along a super-tasty lunch or dinner. On the beaches of Tenerife South you can not just swim, take tan and chill out, but you can also have a lot of fun booking fun boat rides that takes short time and starts right from the beach. Crazy UFO fun boat ride, Banana boat ride or FlyFish fun boat ride are cheapest water activities you can plan among your things to do in Tenerife South. A perfect fun and inexpensive activity - thing to do for families and people of all ages. You can play mini-golf in the main resorts area of Tenerife South and can choose one three mini-golf courses - Mini-Golf Vivo in Las Americas, Mini-Golf in Parque Santiago V or in Oasis Mini-Golf in Los Cristianos. Bus sightseeing tours in Tenerife is the cheapest way to see the most important natural and historical attractions of the island. There are many coach tours available, but the most recommended option is to take two the most important bus tours - Teide & West Coast bus tour and another day Anaga & Two Capitals coach sightseeing tour. Planning these two trips in your list of things to do in Tenerife you will cover two so different parts of the island and will see all the most important attractions. Usually winter time every town, municipality and even every village are organizing own festivals - fiestas. In these events a lot of locals traditionally participate. That's almost impossible to list all of them, because in Tenerife along the year over 500 local festivals are organized. Participate in the fiesta is a perfect way to socialize with local life getting new experience of new culture. Located in Santa Cruz de Tenerife the Museum of Science and Cosmos is not just a nice museum, but also a great place to spend your time with children in a very interesting and educational manner. This museum offers a lot of interactive experiments. Children are free to move and play - that'll be a very memorable time for your kids. For those who love driving fast and feel yourself as a Formula 1 driver is a perfect option among the tings to do in Tenerife - spend some time racing Go Karts in Tenerife Karting Club. There are a few different Go Kart options available to book for any age including a double go kart for a parent with children and super-powerful RT-8 bolides for experienced drivers. Tenerife is one of the main golf destinations in Europe and the island has a lot of perfectly maintained golf courses and golf resorts. Main golf courses are situated in Golf del Sur, Costa Adeje, Abama, Buenavista del Norte, but there are much more golf courses on the island. In fact, you can play golf on a different golf course every single day of your holiday in Tenerife. One of free things to do in Tenerife is to watch a beautiful sunset from one of special points where from sunsets are absolutely spectacular. There are a few such a 'sunset points' like Mirador de Chirche, some places around Teide Observatory or Teno Mountains. At the same time you can also observe a colourful sunsets from the beaches of the South or taking a sunset boat trip in Tenerife. Do you know that skies over Teide National Park are one of the three places in the world with clearest skies? That mean going to the Teide National Park a days with no Moon or young Moon you are able to observe really magical starry skies - there's so amazing view that it hard to explain and you must put Teide stargazing trip to the list of things to do in Tenerife and see it by yourself. 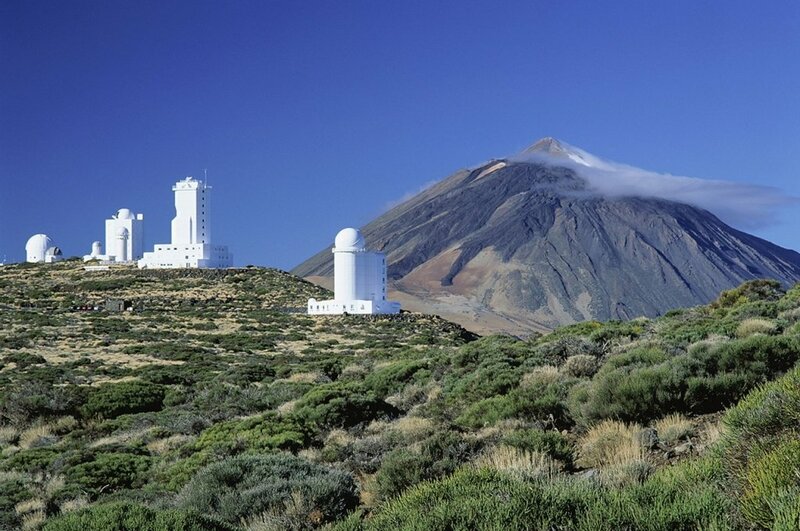 Teide Observatory is the main observatory in the world specializing in investigation of Sun activity. Perfectly situated on the top on Mt. Inzana this is place for scientists from whole the world coming here to investigate the Sun with its powerful telescopes and the most modern astrophysical equipment. If you with to see closer the Teide Observatory installations you have to book a Teide Observatory tour in advance and come there by yourself. Casa de Los Balcones is located in La Orotava old town and it's a kind of museum and centre of local traditional arts, so you also can get there very unique and original hand made souvenirs. The Casa de Los Balcones by itself representing a house of a rich Canarian family from XVI century. You have to pay entrance fee, but it just 4-5 Euros helping them to keep the Casa de Los Balcones in a perfect original conditions. A bit crazy thing to do is to take a boat party - a regular event taking place only during the summer. Hundreds young people are packing to a big boat to have 3 hours long boat dance and drinking party in the middle of the ocean. Especially if you are young and travelling solo, that's the thing to do for you, having many opportunities to make friends with other travellers like you. A buggy tours in Tenerife are good and more comfortable alternative for quad biking in Tenerife. There are a few buggy tour options and the most popular of them is Teide half-day buggy trip, but you may also book shorter Teide Express buggy tour or Coastal buggy trip. An amazing combination of traditional dance, musical, show and theatre - one of things to do in Tenerife. The most famous Flamenco Show in Spain organized by Carmen Mota in Tenerife and you can attend this flamenco show that take place a few days a week and the Piramides de Arona concert hall nearby Hard Rock Cafe in Las Americas. SUP or Stand up and Paddle is a kind of surfing you can do with bigger SUP surf board standing up and paddling. 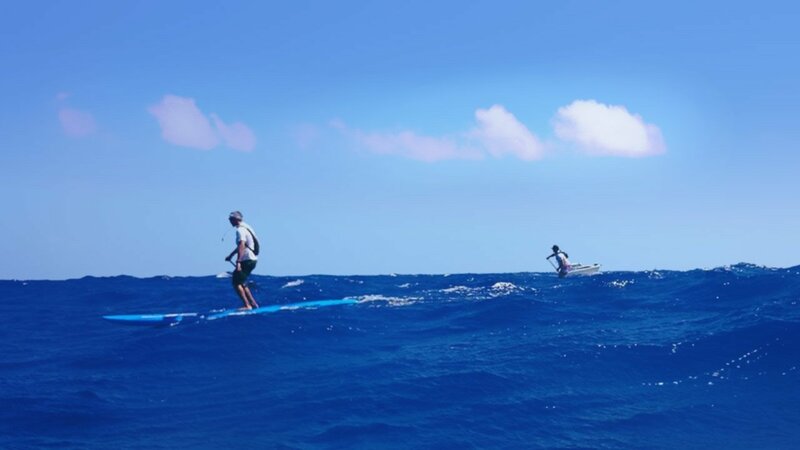 You must be in a good fit to do this water activity, but after a short course you can take even short trips paddling your SUP along the coast. It's a nice idea for those who like spending time actively and learning new things. Ladies usually love shopping, even o a holiday and there are two main shopping destinations in Tenerife. The main one is Santa Cruz de Tenerife with its El Corte Ingles and Meridiano shopping malls - here you will find lot of brands in a good prices. The other shopping destination is so called Golden Mile in Las Americas with it's street shops and boutiques. Located nearby Teide National Park from the Northern side the Forestal Park offers a number of rope ladders, rope obstacles between the trees, a fun of leap off Tarzan Swings and you can use extremely long zip lines to fly in the forest. There are many different things to do for families and you can spend a pleasant time in Forestal park, especially during the hottest days, because the air here always cooler. Do you love colourful butterflies? In the Butterfly House situated in Icod de Los Vinos you will find more than 800 species of tropical butterflies from whole the world. The butterfly collections is constantly growing and the place is taking care and reproducing some really unique species. Some of butterflies are really impressive because it sizes and colours. Worthy to visit with kids. The other of things to do in Tenerife, if you are already in Icod de Los Vinos, is to attend Museum of Guanches - Museo de Guanche. Guanches were native people of Tenerife before Spain took control over the islands. They were living in caves, had own Gods and had island divided into 13 countries. That impressive - having almost black skin guanches had blue eyes and blond hair. There are many things scientists still cannot understand about guanches - the Museum of Guanches is the perfect place to get in touch with ancient history of the island. Second in the world right after the Carnival of Rio de Janeiro the Santa Cruz Carnival is a yearly event taking place each February and gathering sometimes over a million visitors participating in this festival of dance, shows and colours. At the time of Carnival the capital of Tenerife converts in a total enormous 2 week long party. 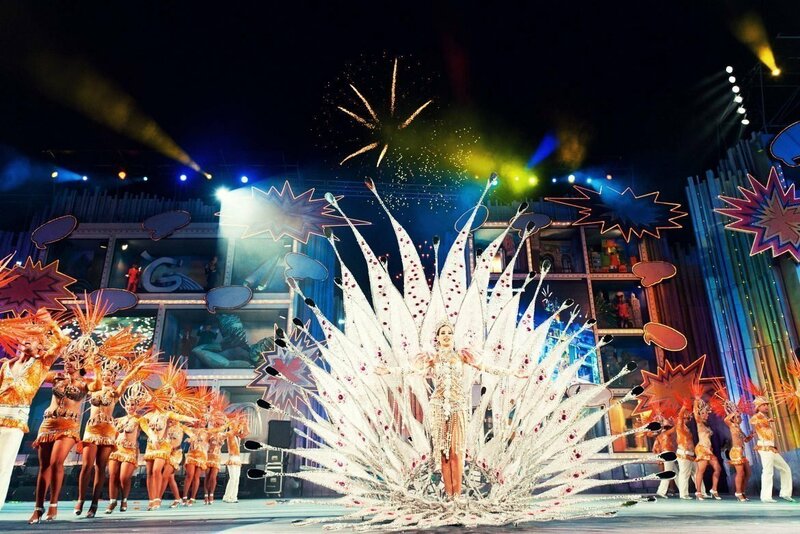 Hundreds of thousands visitors are coming from whole the world to participate in Santa Cruz Carnival. Military Museum in Santa Cruz is quite interesting place to visit in Tenerife. It occupies a big area with expositions in a few buildings discovering military history of Tenerife and Canary Island. What's important the admission is free-of-charge and it also nice place to spend time in a hot summer day. Once you are in Santa Cruz de Tenerife we can recommend you place visiting The Space of Arts on your list of things to do in Tenerife - you can see here regular art and photography expositions, a very good library and by the way you may also visit Museum of Nature and Man located right beside. One of the hidden gems of the island - the Mesa Mota is a kind of abandoned park and it's a place that hosts the International Tenerife Memorial, constructed in memory of the 583 victims of the biggest and deadliest air crash in the history of aviation that happened in March, 1977 after two jumbo jets of Pan American and KLM crashed. It also surrounded by park with places for picnic and you can see a spectacular panoramic views toward Mt. Teide from here. Monkey Park is small and cozy zoo situated between Los Cristianos and Guaza and accessible by a taxi only. The park is home for many species of monkeys and lemurs from Madagascar. A good idea to visit this place with children - they even can touch and play with lemurs and surely will remember it for a long time. We believe it's not a good idea, but some island visitors don't mind and desperately search for this activity. Some of them trying to find that in Loro Parque, but unsuccessfully - Loro Parque really taking care of their animals health and wouldn't allow that. 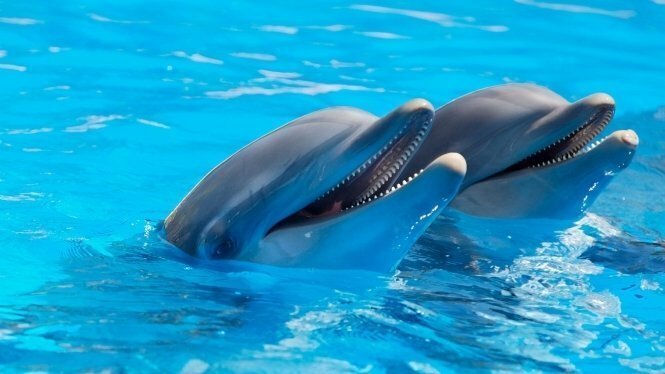 The trick is simple here - go to Aqualand water park in Costa Adeje, enjoy it and by the way go to their office below the dolphinarium and agree a special visit to swim with dolphins. No way to book it online or by phone - only in person. Maybe you don't know, but the technology of rolling cigars born in Canary Islands and not in Cuba. When people from Tenerife were migrating to South and Central America they brought the tradition and technology there founding first tobacco plantations in Cuba and started rolled cigars production there. In Charachico in a place called Tabacos Arturo right opposite lava pools you can see how traditional cigars are manufactured and buy some for yourself or as a very original gift for your friends. Thinking of things to do in Tenerife many visitors attending SPA in the hotels. That's good, but maybe too expensive and not good enough, because hotels have their small SPA overpriced and very small. A good idea is to book a nice circuit in the biggest and best Agua Club Thermal SPA on the island. It's fairly priced and here you will find an absolute relax refreshing your mind and body. Barranco del Infierno is a beautiful canyon dominated by lush flora, small waterfalls and situated right by Costa Adeje - a paradise for hikers. The entrance to Barranco del Infierno is guarded, because there's admission fee and limited number of hikers per day allowed to enter. Therefore, be sure, you have reserved your visit in advance. The Giants or Los Gigantes cliffs are located right by Los Gigantes town and they are highest cliffs around Atlantic Ocean. Created with a mega landslide some 160 000 years ago when Mt. Teide formed these majestic walls rising up to 600 metres vertically from the ocean to the skies - unforgettable view! The last and at the same time the most simple and obvious on the Top-100 things to do in Tenerife is to visit the best beaches of Tenerife South like Playa el Duque, Playa de Las Vistas, Playa de Las Americas and Play de Los Cristianos. All the beaches in Tenerife is accessible for public free-of-charge, but you may rent sun-beds and umbrellas. 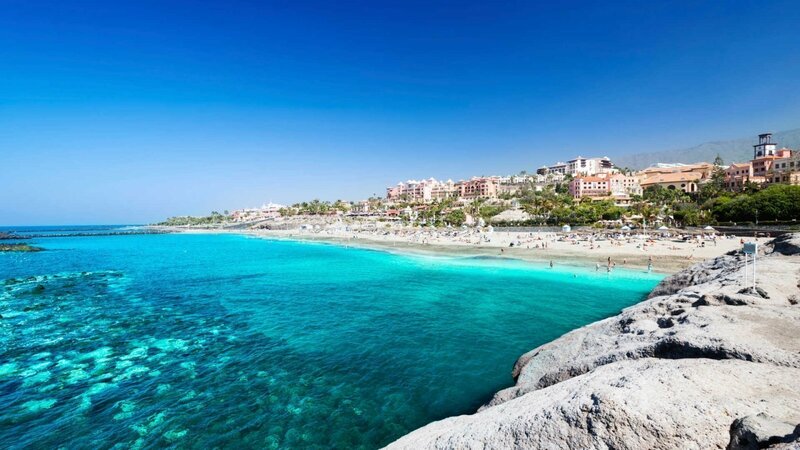 All the beaches of Tenerife South are gold sand beaches, very well maintained with developed infrastructure alike showers and hundreds restaurants, bars and cafeterias along the coast. We will be very thankful, if you copy link and share these Top-100 Things to do in Tenerife on your travel blog or social network, so it will make planning holidays in Tenerife easy for your friends and visitors. 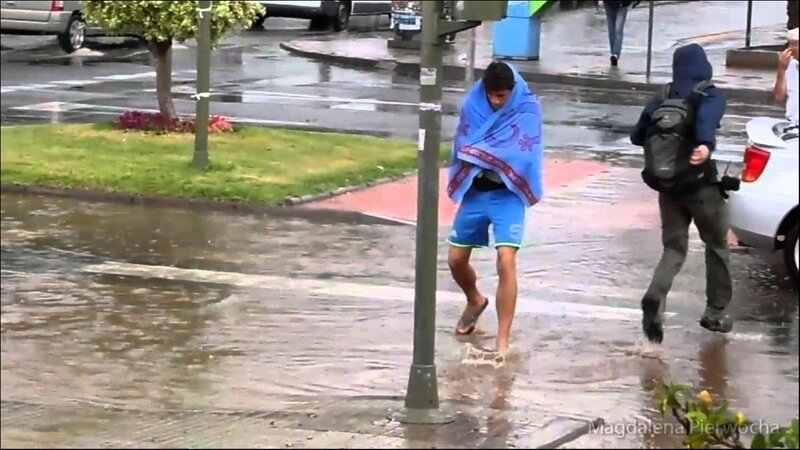 What things to do in Tenerife when it rains? Ideas about things to do and places to visit in Tenerife at night.